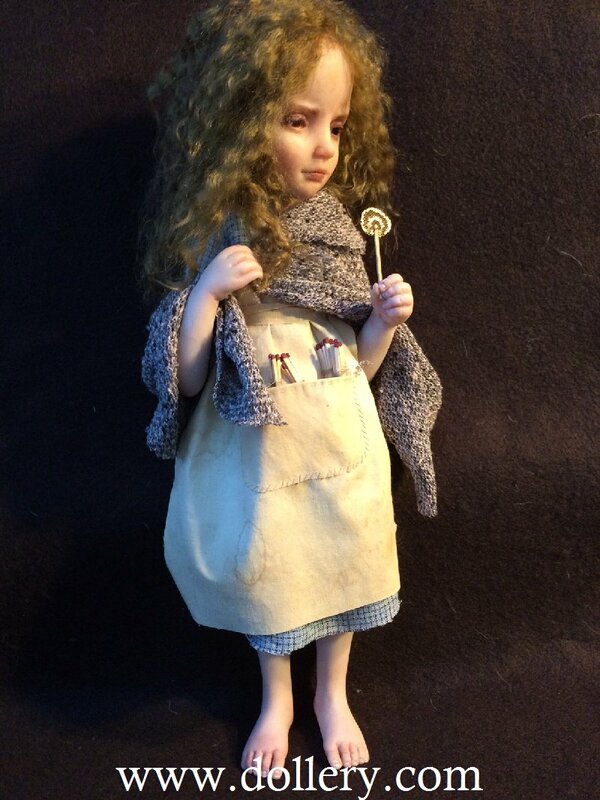 Click Here to go to Jane Bradbury's page on our site for many more dolls by her! 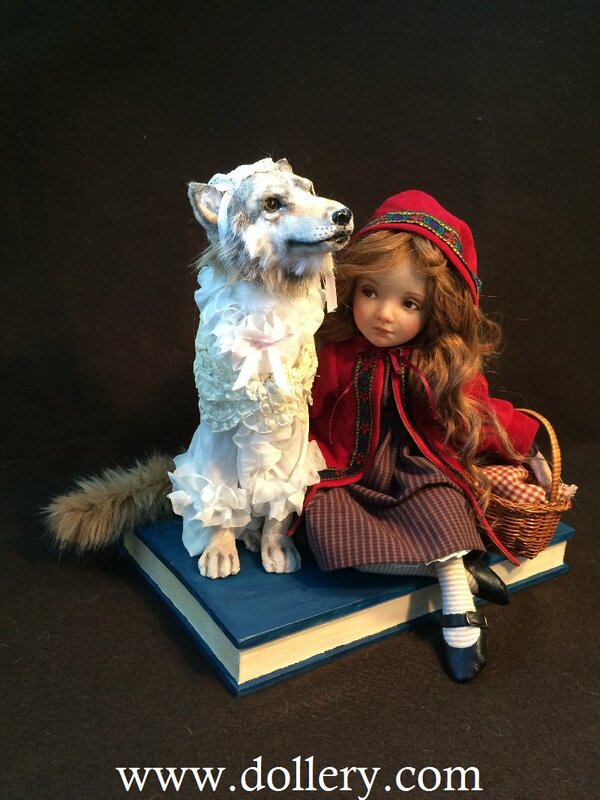 Red Riding Hood with Wolf, $1,100.00 usd - SOLD - CONTACT KMALONE@DOLLERY.COM ABOUT CUSTOM ORDERS SIMILAR BUT NOT EXACT. 14" seated. Wolf is 13" long. 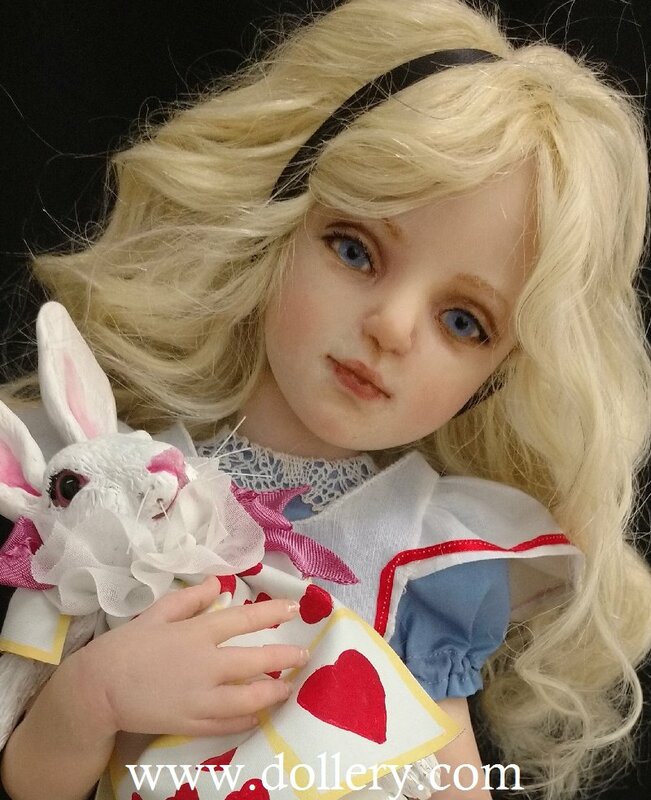 Both have glass eyes, Red has human wig. Red's shoes are sculpted. Knees are permanently bent and cannot stand. 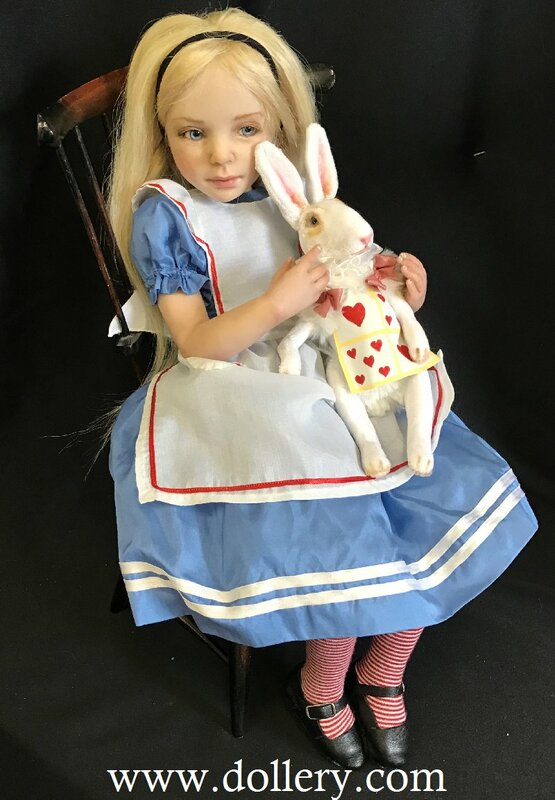 - TAKING ORDERS FOR SIMILAR ALICE'S. 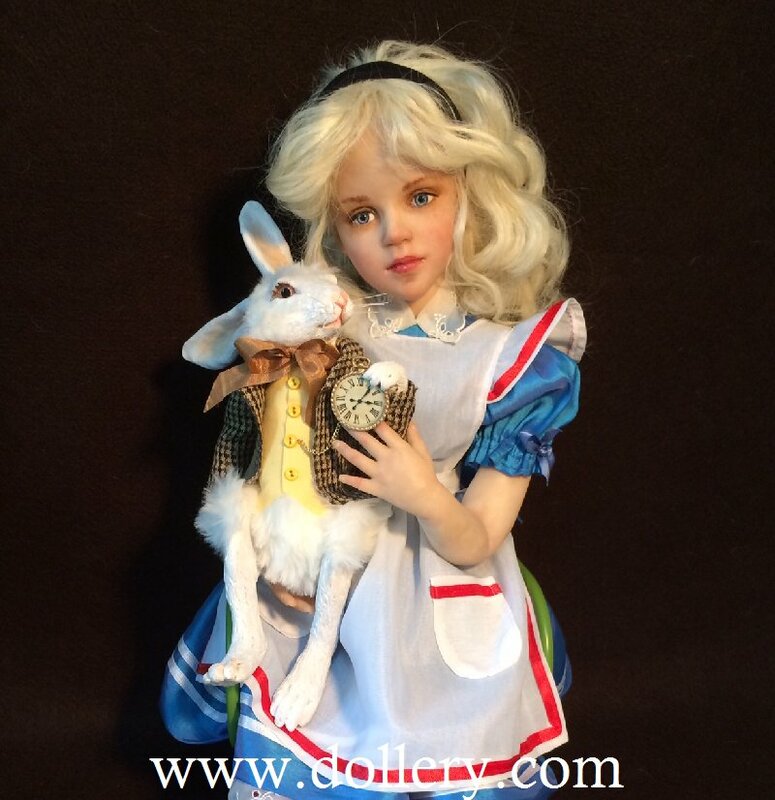 25 inches, human hair, jointed, seated in green chair, blue glass eyes, rabbit is 10" hand sculpted- jointed. 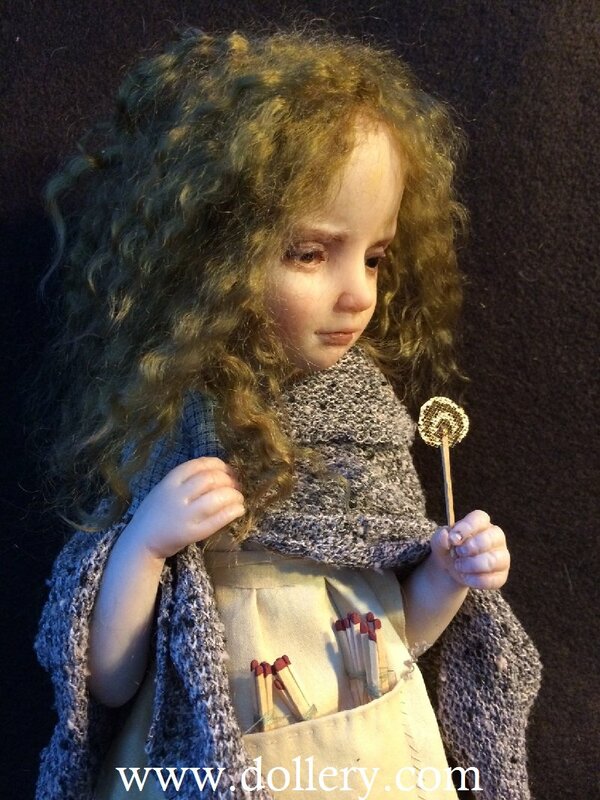 These are one of a kind made of polymer clay w/cloth bodies. She'll go quickly! 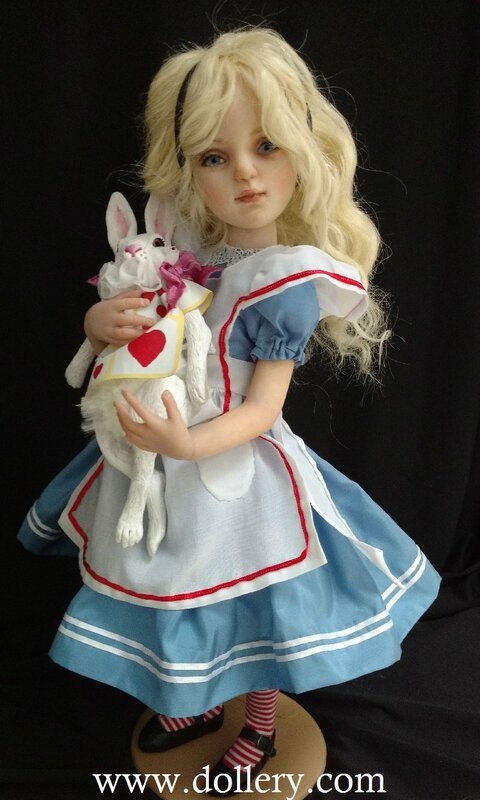 18 inches tall, blue glass eyes in Alice with handmade Mohair wig. 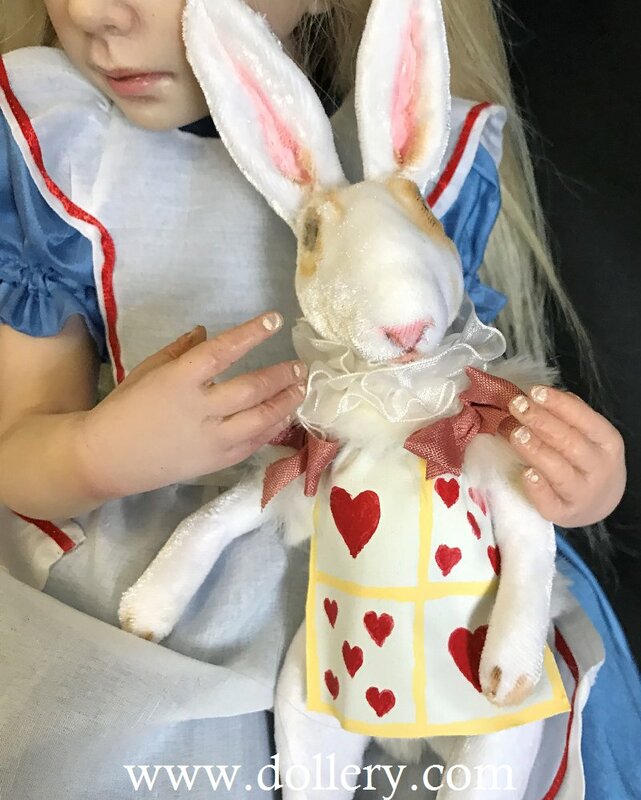 Rabbit is 9 inches in length. He has glass eyes. 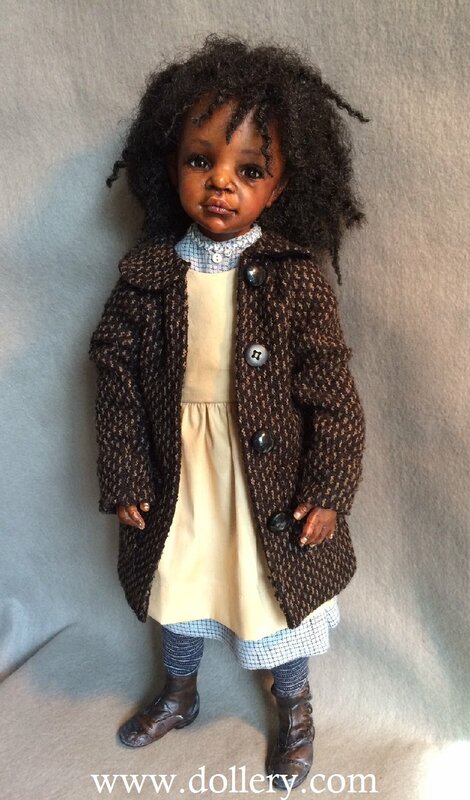 Blue silk dress on the doll with leather shoes. 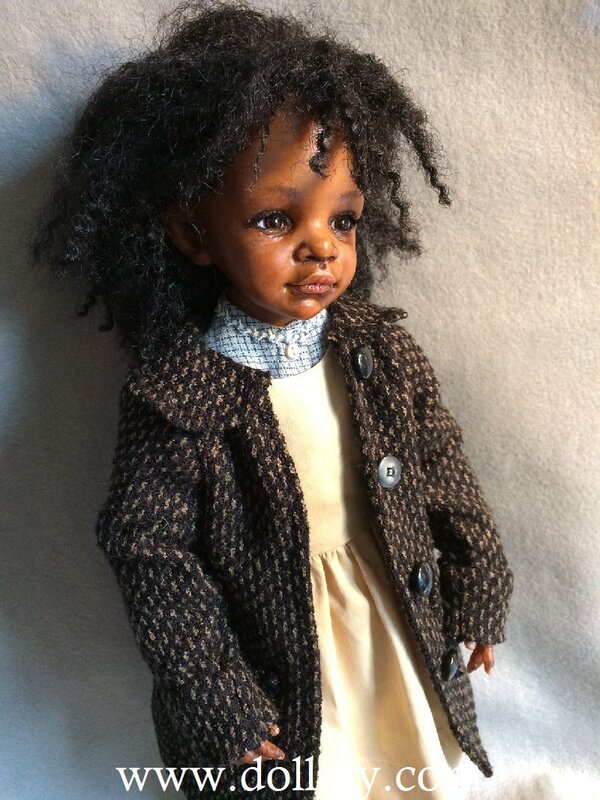 African American girl in 1800's style outfit. (below) $1,000 usd SOLD! 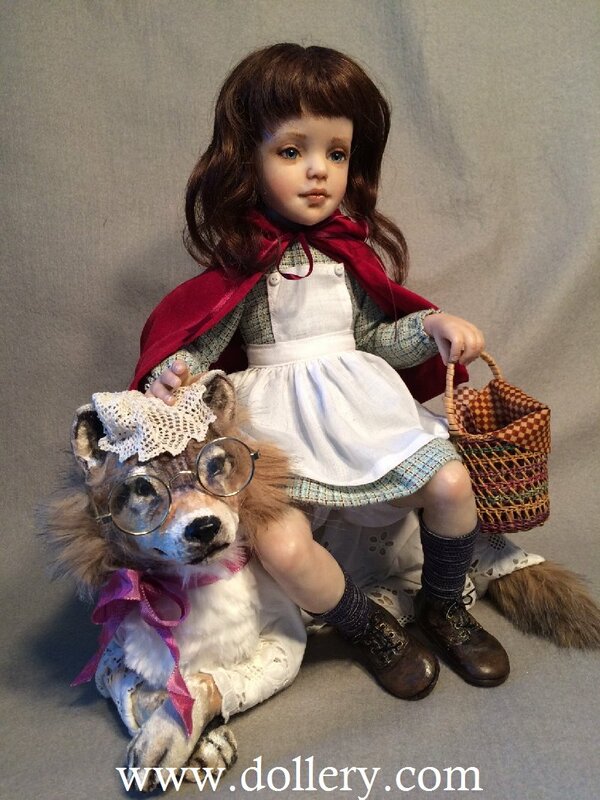 Little Red Riding Hood w/her wolf - One of a kind - wonderful! 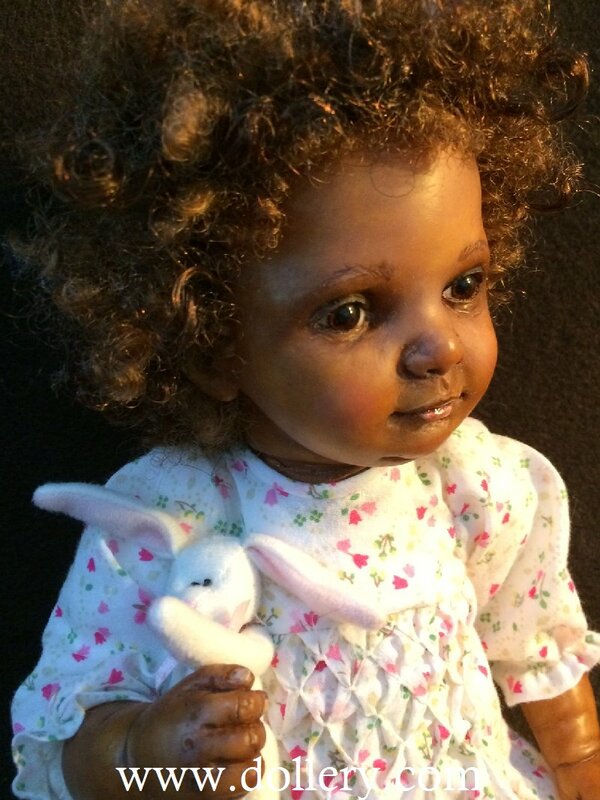 SOLD - EMAIL kmalone@dollery.com if you are interested in custom ordering one similar but not exact. 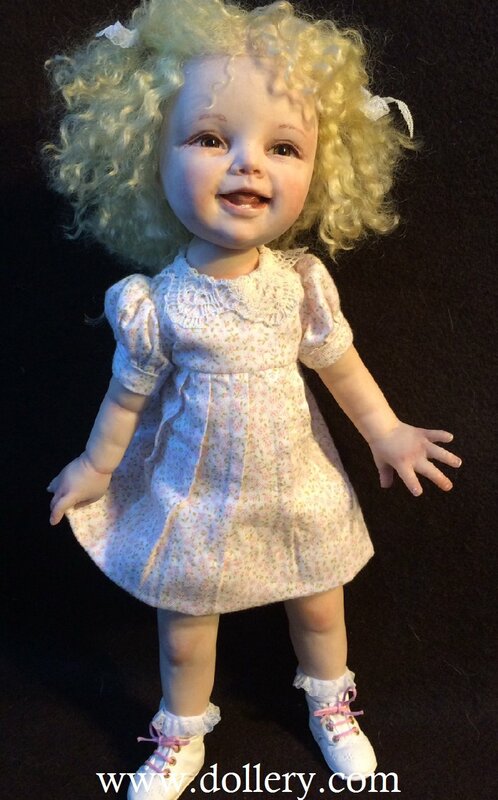 This little doll stands 13 inches. 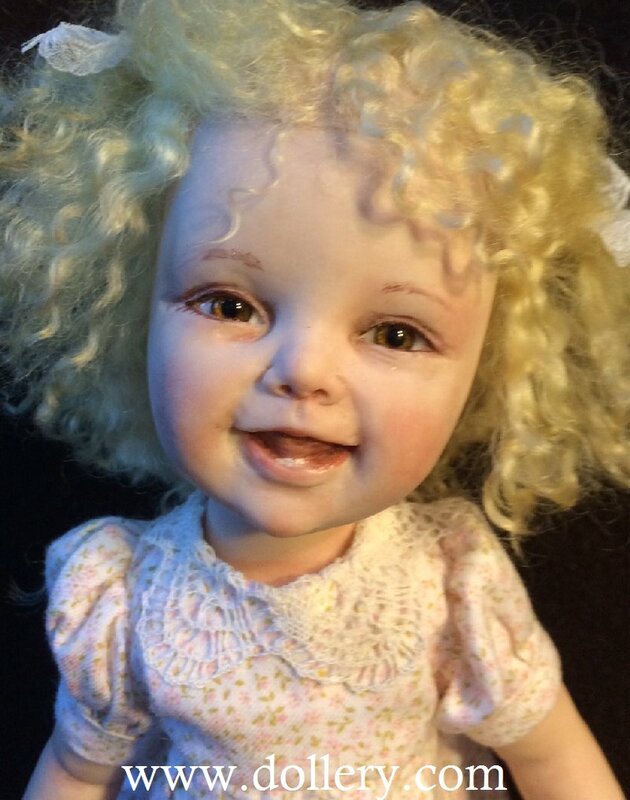 She has blue glass size and a blonde mohair wig. 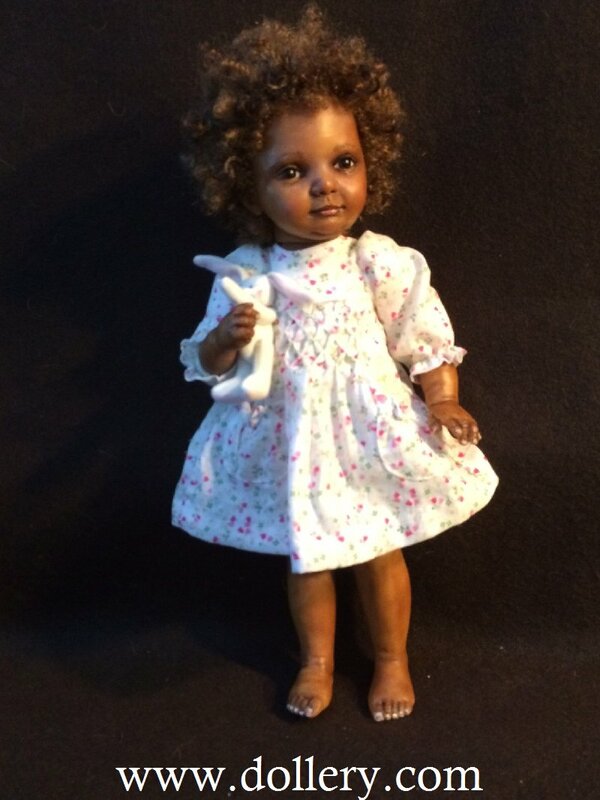 She wears a tiny pale pink print dress, and molded white baby shoes. 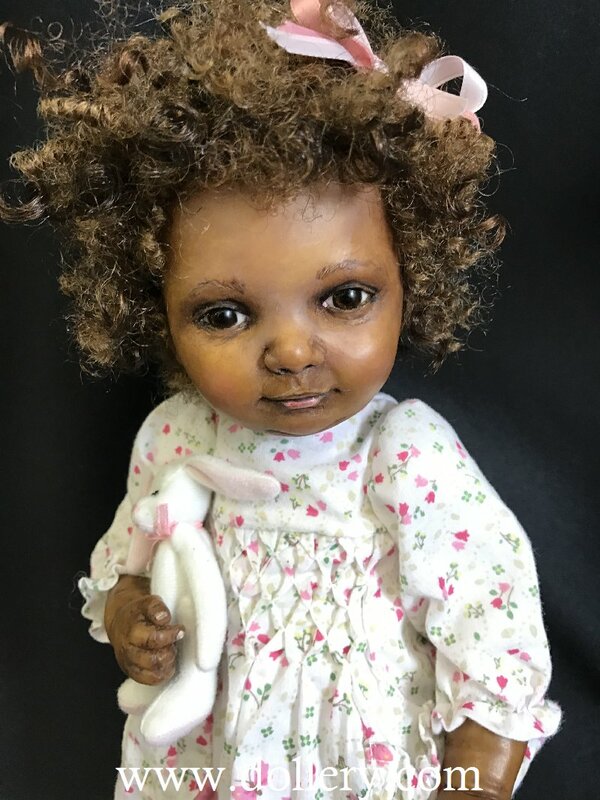 11" 1/K - AVAILABLE AND ADORABLE! 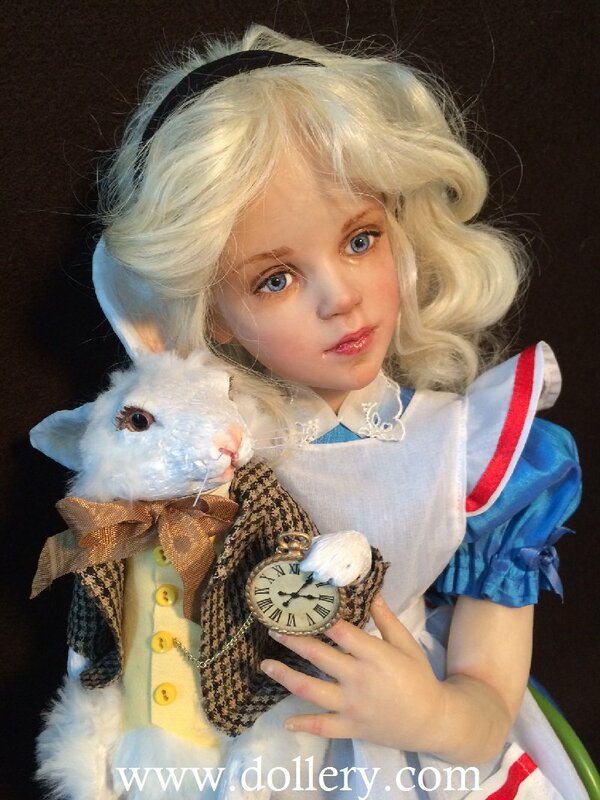 SHOW PRICED JUST $800.00! 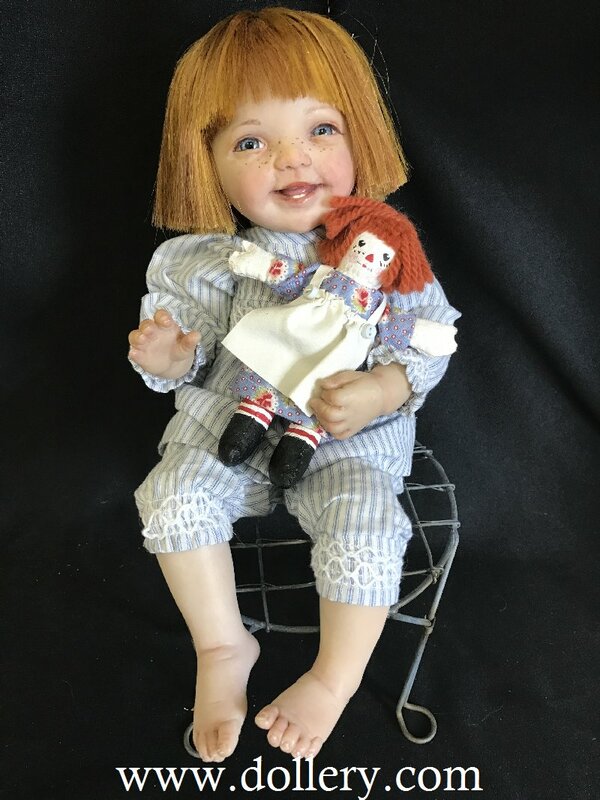 See something you like but it is sold? Consider doing a Custom Order. Each is a one of a kind but similar themes or looks can be achieved. Different hair, eye and costume colors of your choice! 25% down and then you can either make monthly payments or pay the balance when the piece comes in. You can even request pieces to come in into 2015. 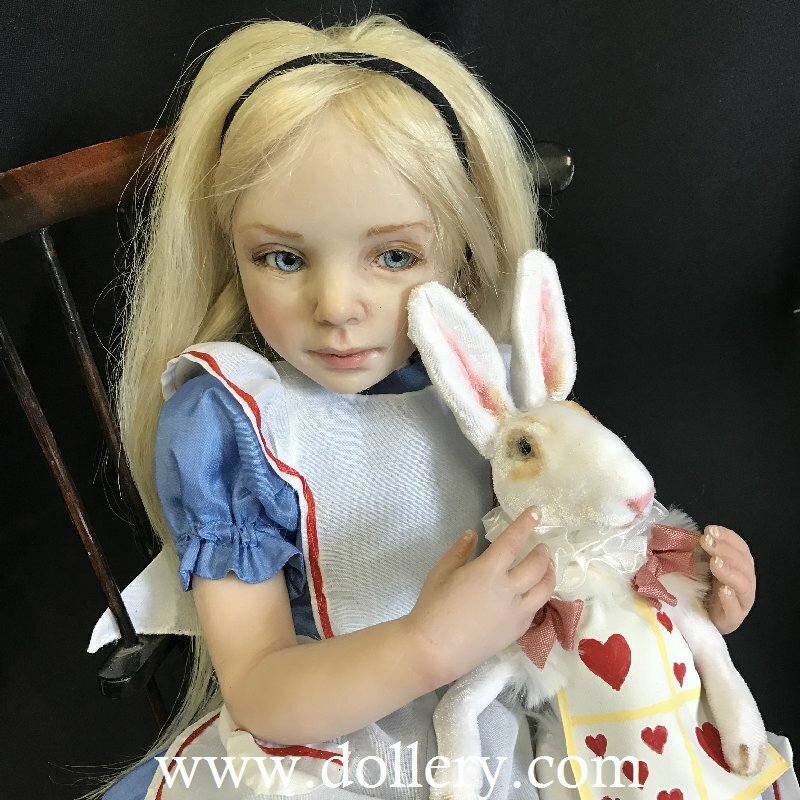 Send an email to Kim at kmalone@dollery.com to be put on our Email List for notifications of particular artists you are interested in. 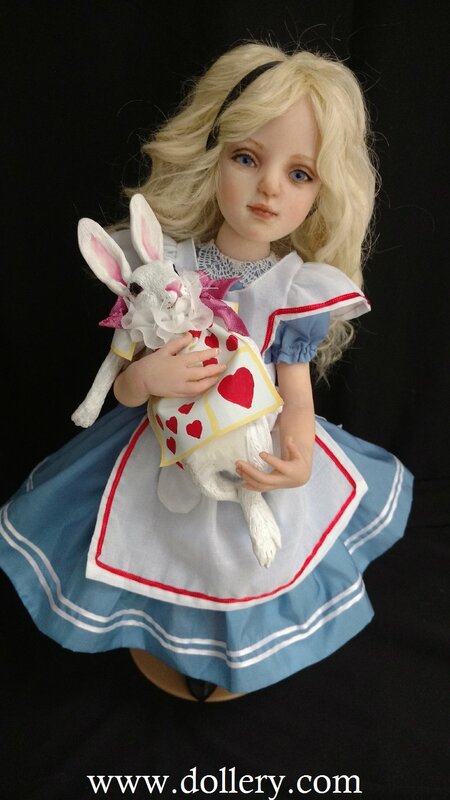 Alice with White Rabbit - SOLD - EMAIL kmalone@dollery.com if you have interest in ordering a custom Alice in Wonderland similar to this one or visit our Bradbury main page on the site to view many Alice dolls she has created for us before and let us know if you like another "look" and we can work with you on a custom order. 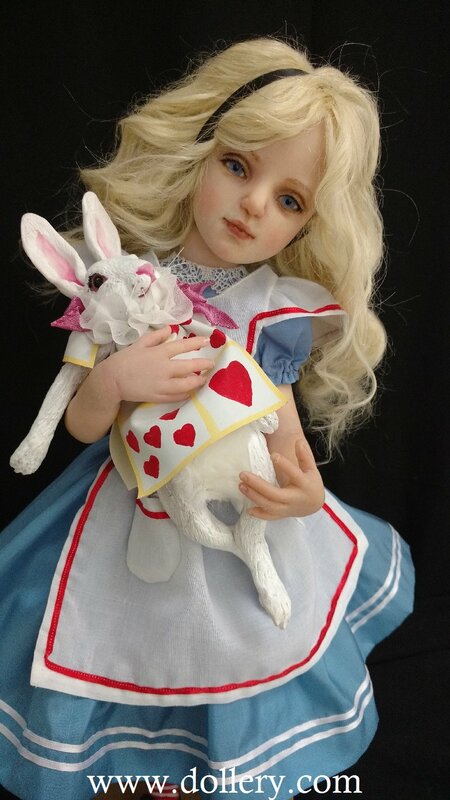 Each is a true ooak - similar but not exact. 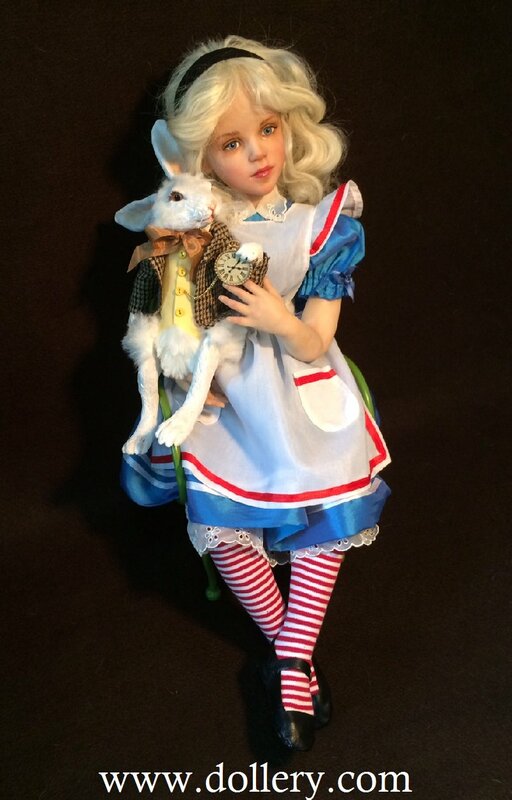 She is seated about 15"
Jane hands sculpts all her animals. Similar sculpts can be made. 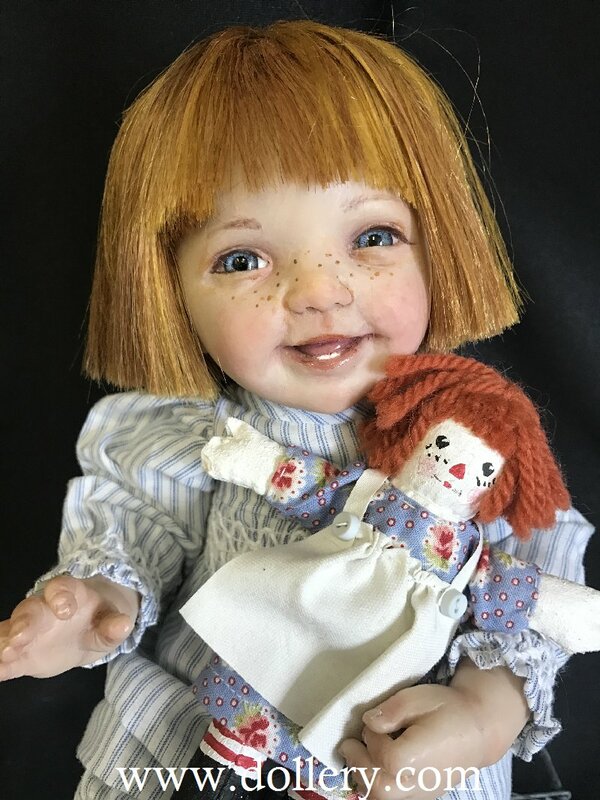 Copyright Dollery, Inc. - All images are property of Dollery, Inc. and can not be taken off this site without permission.